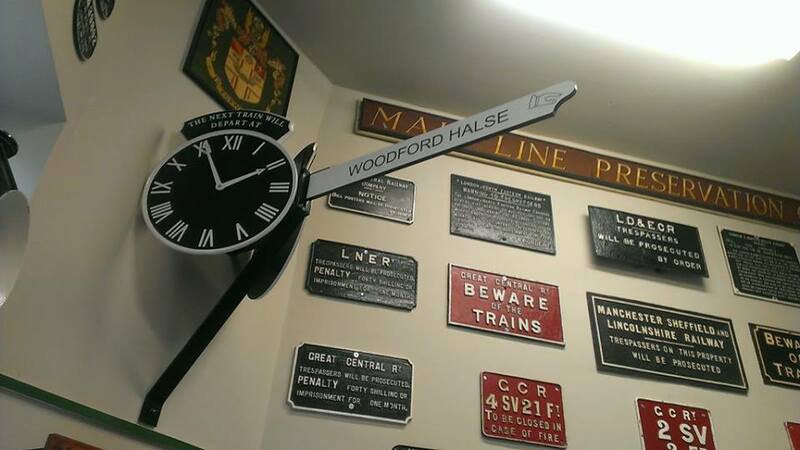 Woodford Halse was once a busy railway centre. Between 1891 before the railway came and 1901 the population of the Parish more than doubled from 527 to 1220. In 1941 the goods yards at Woodford had space for over 3000 wagons. Between 1942 and 1951 the yard handled almost 10 million wagons. The Great Central Railway ran trains from Liverpool, Manchester, Sheffield, York and Rugby through Woodford to London Marylebone. In 1910 there were 16 “down” passenger trains (towards London) and 17 “up” trains (away from London) stopping, starting or finishing at Woodford. This map from 1954 shows how the railway cut through the village with the sidings extending to the north towards Charwelton. 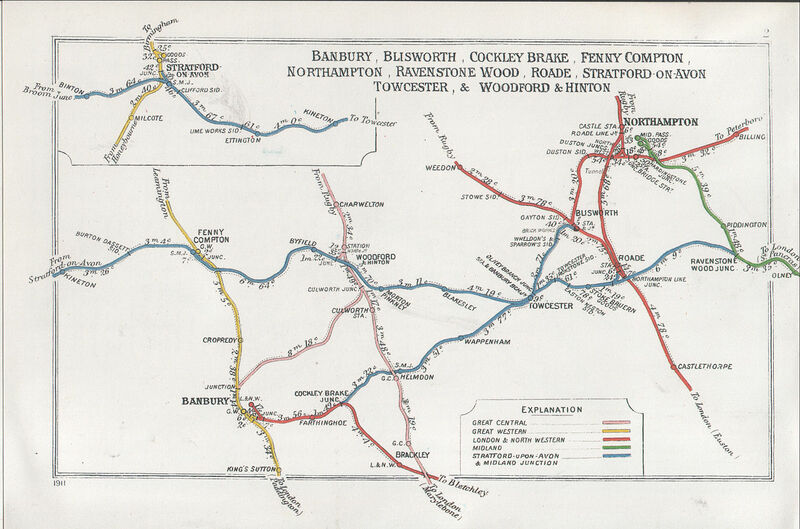 (Map used with acknowledgements to Disused Stations.org who have a page on Woodford Halse station). A model of Woodford Halse railway in its heyday has been created by the Model Railway Society and can be seen on occasion in the Social Club. The club has a facebook page here. If you want to explore Woodford’s railway heritage there’s a short walk around the village. Download the walk guide here. The following pictures were provided by the Great Central Railway Enthusiasts Society (many thanks John Rose) and show just how big a part of Woodford the railway was. I’m interested in obtaining a copy of Anscomb’s book mentioned above. Can you let me know where it is available please. I’m pretty certain that there is a copy available in the Library. The original was published by the Woodford Halse Photographic Archive in a reprinted form in 2009. I’m not sure if they still have copies but you could try contacting Ms Yvonne Roberts, phone: 01327 262801.